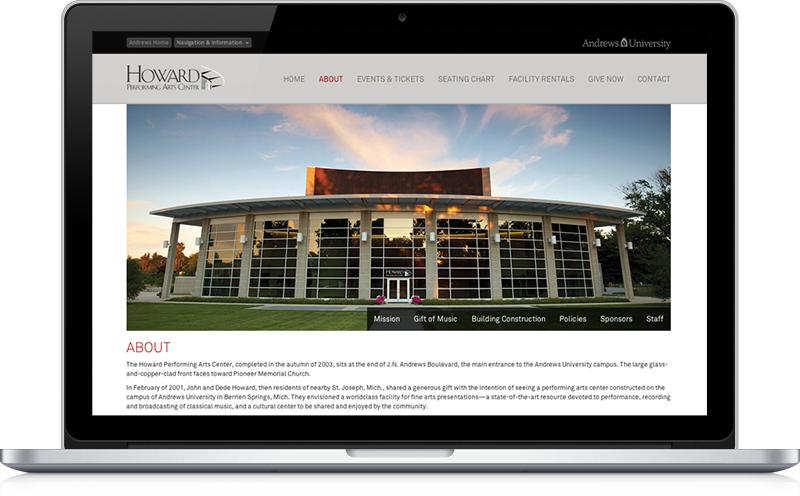 About to celebrate its' 10th anniversary, the Howard Performing Arts Center at Andrews University desired a renewed online presence. Their goals were to have a new visual design, use more photography as part of the new layout, and make the experience mobile friendly as well. The project also involved working with their outside vendor for ticketing to implement a new online ticket buying experience that would be integrated into the site. 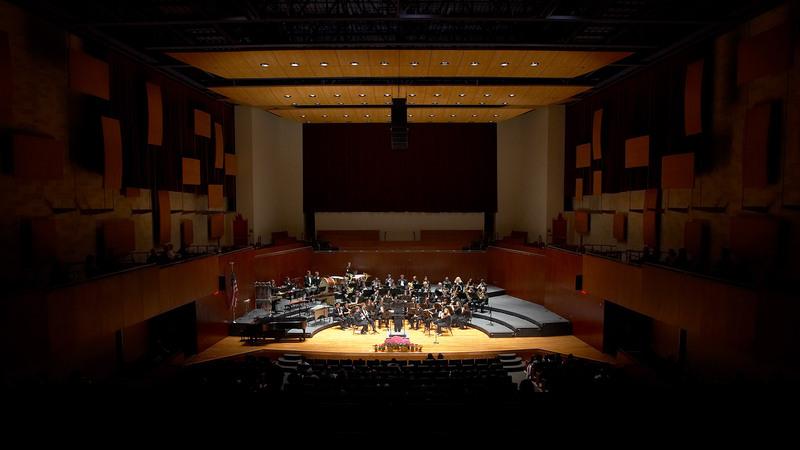 Therefore, it needed to be clear which events required tickets and which ones were free to the public.